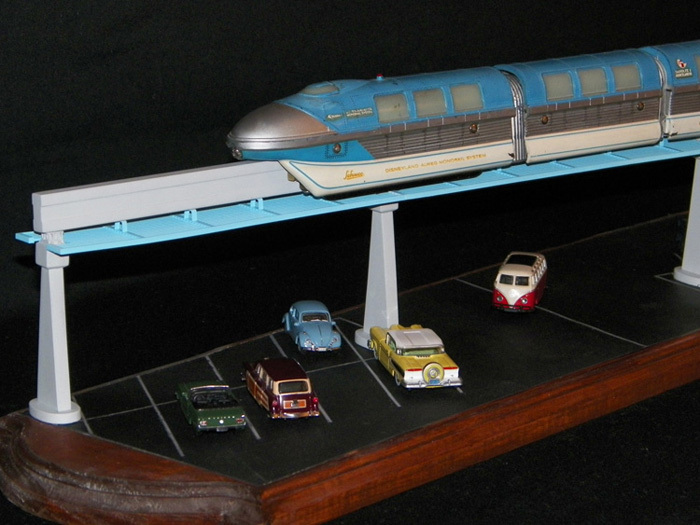 TMS member David Hanson, has built nice displays for the classic Disneyland Schuco train. The original sets operated, but the track and pylons were not accurate representations of the real track. Hanson designed and built this unique remembrance of the now-gone Disneyland parking lot. If that isn't enough, David also built this fabulous monorail track segment over conventional track for the Santa Fe & Disneyland Railroad. 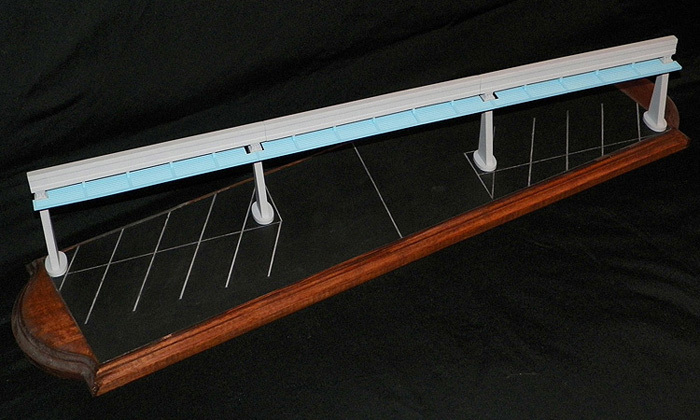 Track sections were created from styrene and balsa, then molded and cast resin copies were used in the display. The stands are also castings, but he added a metal pin that sticks out of the top so he can use them with his original Schuco monorail track. The wooden base was routed out and stained. 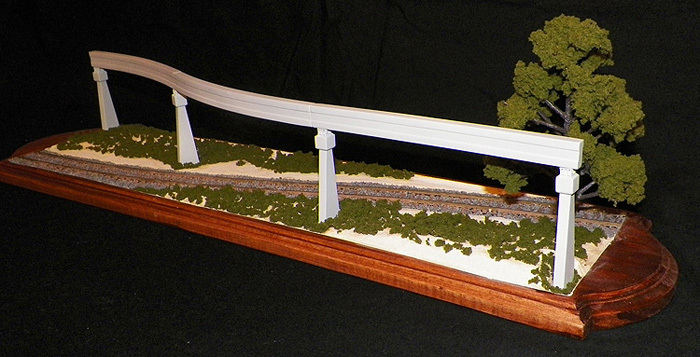 Scenery materials are from Woodland scenics. 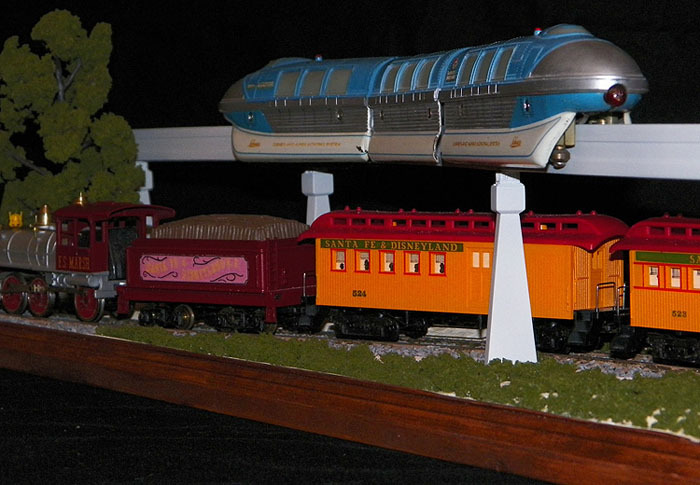 HO train display double deluxe, David Hanson has created a Disneyland fan first! Santa Fe and Santa Fe past and futuristic. Nice work David Hanson, and thanks for sharing these nice images.